Hilda Kraus, a well-known designer, artist, jeweler, enamellist and metal work designer, was born in New York City in 1915. She had a B.A. from Hunter College 1935 and completed her post graduate studies at International Academy of Art, Salzburg, Austria, in 1967, 72, 77. Ms. Kraus served as an apprentice to a Danish silversmith for 3 years. and studied traditional enameling methods in the great centers of Europe (France, Italy, Germany). She at one time had shops in N.Y.C, Connecticut and Maine. When she moved to Westport in the 1950’s she maintained her studio in her home. Hilda spent many hours teaching and taking classes at the Brookfield Craft Center, as well as being a part of both solo and joint exhibitions there. Hilda was a lifetime member of the Silvermine Guild of Artists and a Master Craftsman as awarded by the Society for Connecticut Craftsman. During her lifetime, Hilda was the recipient of many awards and prizes for her work both here and in Europe, especially for her work in cloisonné enamels. Her work is in the collections of the Everson Museum of Art, Syracuse; the Cooper-Hewitt National Design Museum, New York; and the Delaware Art Museum, Wilmington. In 1946, her work was featured in an exhibition at the Museum of Modern Art called Modern Handmade Jewelry, one of the earliest and most influential jewelry exhibitions in the postwar period. She was also awarded a purchase prize in the seminal exhibition Enamels ’70 organized by the Craft Alliance of St. Louis. Understanding the vision and importance of the Brookfield Craft Center as an institution of fine craft and catalyst for creativity, Ms. Kraus left a legacy gift to the BCC upon her death in 2014. 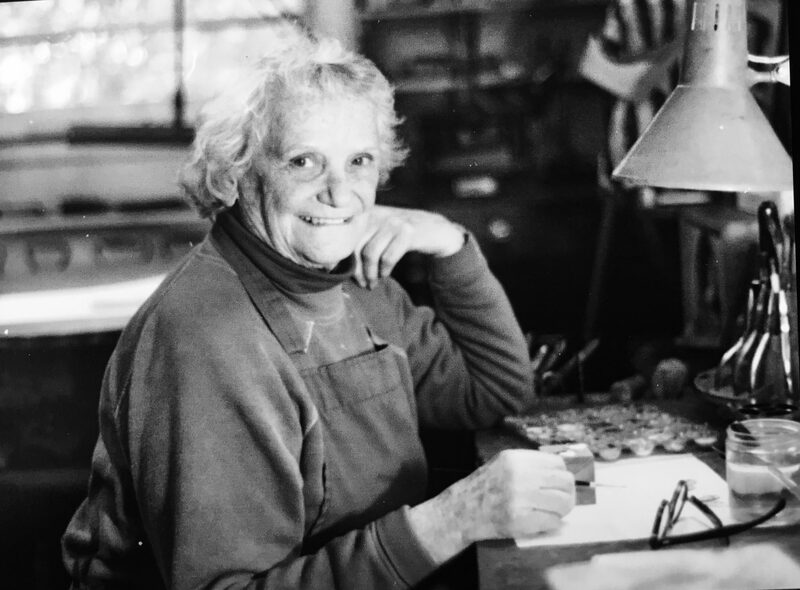 Through the generosity of her long-time friend and Brookfield Craft Center supporter, Nell Mullen, a retrospective exhibition of her life’s work was featured in the Lynn Tendler Bignell gallery at the Craft Center in April of 2017.